A ghostly “Boo!” that is. 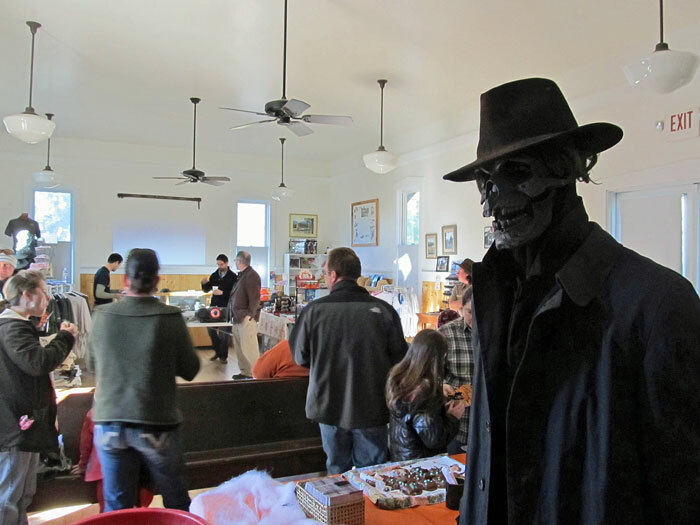 With the end of the season coinciding with Halloween and all things spooky, it only seemed appropriate to host an “Is Skeleton Creek Real” Halloween Extravaganza. 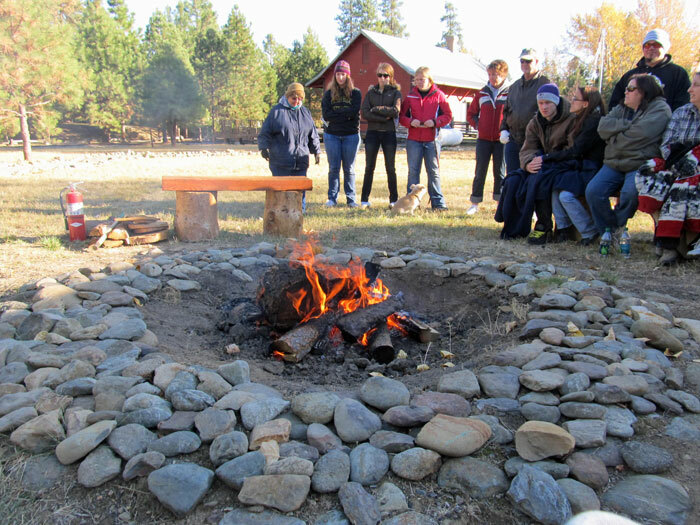 Park Staff and visitors gathered around the camp fire on a crisp fall evening to hear stories and tall tales of the legendary Joe Bush who has been reported to haunt our gold dredge. Special Guests Jeffery Townsend and Eric Rhodes, the actor who plays the Apostle in the books, joined us bringing never-before-seen clips from the books! 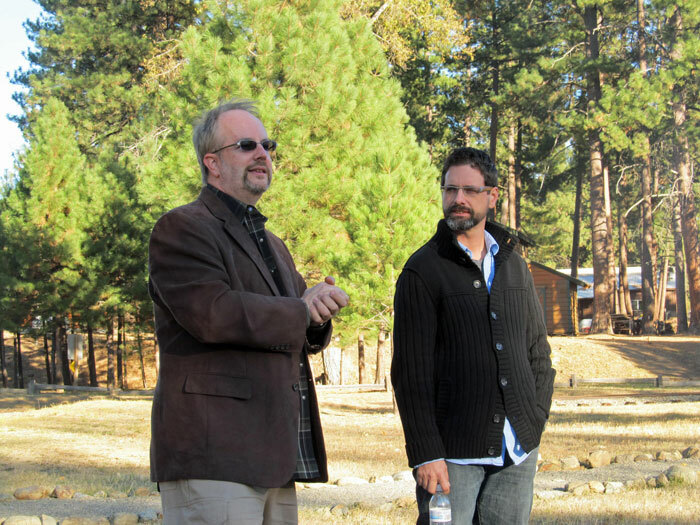 Guests Jeffery Townsend and "The Apostle"
Refreshments were to be had…..if you were brave enough to get by Joe Bush!! 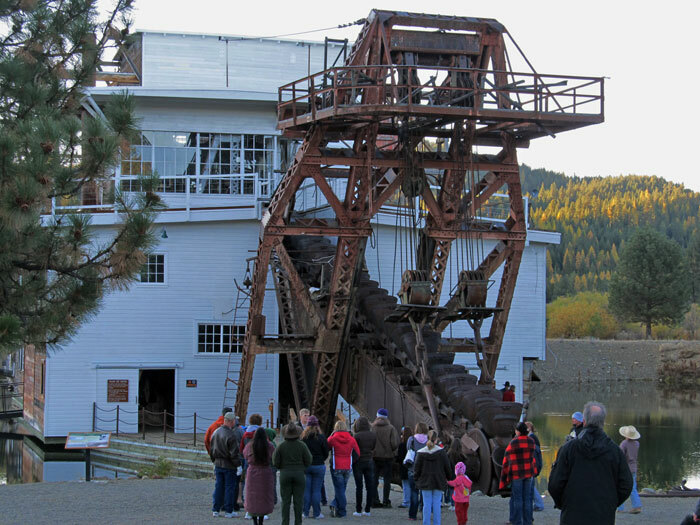 The evening ended with a tour down to the dredge. The intent was to see all of the cool places shown in the books, but all was interrupted when the REAL Joe Bush decided to make his presence known with clanks, knockings and moans to send shivers down your spine. Into the dredge...What will we find?? This entry was posted in Camp Fire, Events, Skeleton Creek and tagged Ghosts, Halloween, Joe Bush, Skeleton Creek. Bookmark the permalink. 1 Response to Out With a BOO!